Off of Georgia’s coast is Gray’s Reef National Marine Sanctuary (GRNMS). GRNMS is approximately 17 nautical miles offshore and encompasses 22 square miles of marine protected area that is home to many large invertebrates such as sponges, corals and sea squirts. 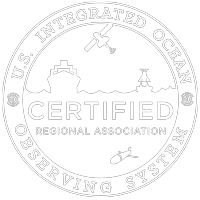 In 2013, as part of NOAA’s Ocean Acidification (OA) Program, SECOORA received funds to provide support to the GRNMS buoy. The buoy is maintained by the University of Georgia and is part of international efforts to quantify the effects of OA on the world’s ocean. 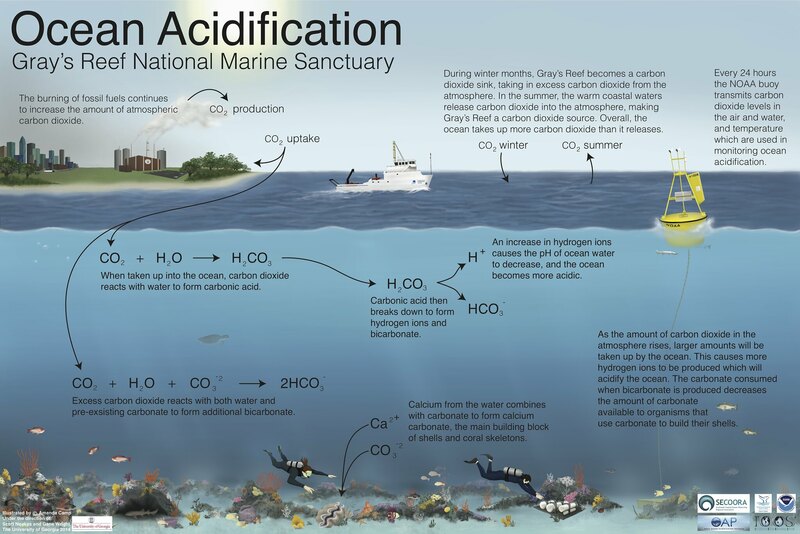 OA is a global change in ocean chemistry resulting from the ocean's uptake of carbon dioxide (CO2), which is increasing in the atmosphere due to the burning of fossil fuels, land use change and more. 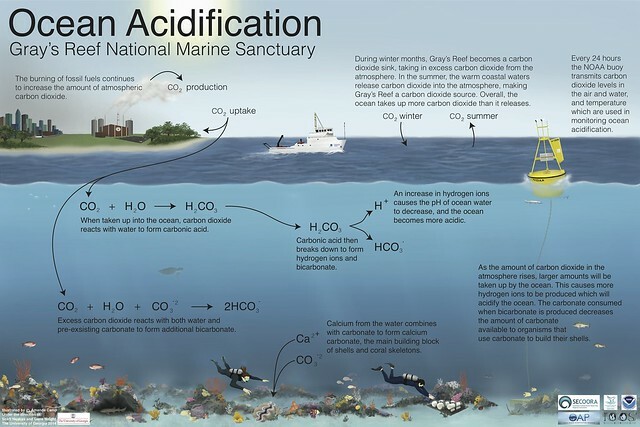 It is important to measure OA because the increase in CO2 levels can decrease the ocean’s pH, adversely affecting a variety of organisms, particularly those with calcium carbonate shells or skeletons. To date, the GRNMS buoy has been recording high resolution monitoring data for seven years. The sensors on the buoy record pCO2, pH, dissolved oxygen, salinity and water temperature. An overall upward trend has been detected for both seawater and atmospheric pCO2. Seawater pCO2 is increasing on average 2.4% per year and atmospheric pCO2 is increasing on average 0.789% per year.1 The near real time data from the buoy is available on SECOORA’s data portal.